Yola Review – Why Do So Many People Love Yola? More and more people want to build websites, for a variety of reasons. Some people want to share messages and information, while others want to build stores. The reality is that the world is now fully online, and it isn’t possible anymore for any service or store to exist without having an online presence. That said, the internet is also full. Not full to capacity, but full of sites that are just like each other, making it very difficult for someone to get found. While there are specific tactics for getting found, known as search engine optimization (SEO), the start has to be in building an excellent website. In the past, this was something that could only be done by people who had significant experience in coding and design. However, as demand for websites increased, those providing them also knew that it was not possible to expect everybody to be able to code. That was the birth of website building services. Since that moment, however, the number of website builders has also grown exponentially. Just ten years ago, there were no more than five website builders available. Today, however, there are hundreds! One of the strengths of the internet is that it allows you to review things before you buy into them, but it would take you a lifetime to review all the different websites builders. What follows is a comprehensive review of the Yola site builder, enabling you to find out what it is all about. 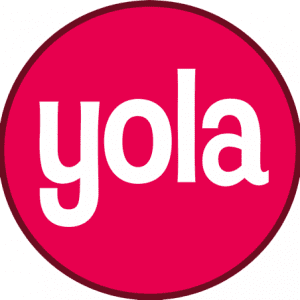 Yola was started in 2007 and over the past nine years, they have helped to build more than 10 million websites. 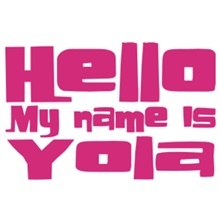 Yola is a derivative of the word ‘jhola’, which is Hindu for ‘hatch’. As such, one of their slogans is “Yola is where you hatch your big ideas”. When the company was first founded as SynthaSite, many people complained that this was too hard to pronounce, to remember, and even to spell. As a result, they decided to come up with something meaningful, sharp, short, and snappy, which turned out to be Yola. Yola has been around for a very long time. In fact, it was one of the first companies of its kind. As a result, some people now wonder whether it remains competitive. Let’s take a look at what makes Yola stand out from the crowd, so that you can decide whether it is for you or not. It is incredibly easy to use, and has really been created for people who have no website building experience. It comes with a full web store. Yola has amazing social features, putting them heads above the competition. Although they offer a free account, this is actually very limited. Yola does not offer a blog tool, which means SEO is a lot more difficult. While there are some mobile site options, these are quite limited. This, again, makes SEO more difficult, not in the least because the Google spiders give preference to mobile optimized sites. You are able to sign up for your own domain name. If you already own one, you can point it straight to Yola, so you don’t have to changed everything. Alternatively, if you don’t yet own a domain, you can buy one through Yola so long as you sign up for a paid plan. Yola offers two levels deep of navigation, although only for those who purchase premium templates. This can be somewhat of a limitation if you expect your site will grow significantly in the future. There is a very nice range of widgets available, offering additional functionality for your site. The majority of these widgets are third party integration. Some of the best widgets are the social integration buttons, meaning it is very easy for your customers to share information from your website on their own social channels. They offer a very good Google AdSense widget, as well as other widgets that will help you to monetize on your website, a feature that is lacking in many other site builders. The Ecwid.com ecommerce feature that Yola offers is really powerful. More on that later. You can customize your description tags, meta tags, and title at page level. This means that you can perform some basic SEO actions. However, the URL text always refers back to the menu item it refers to, so make sure you name your menus properly. While Yola itself does not offer a blog, you can integrate a Tumblr widget. Although the Yola Silver packages come with a tracking tool, you can only use this to store visitor statistics for a 30 day period. However, you can install Google Analytics, thereby ensuring you keep statistics for life. You can install a very easy to use, highly flexible, contact form builder. Again, this is something that is lacking in many other builders. You can password protect individual pages or the site as a whole. If you have some knowledge about HTML coding, you can add tools and external widgets if you want. You can integrate your site with Constant Contact, so that you can create newsletters as well. You get quite significant storage space regardless of which package you choose. In fact, even with Yola Free, you still get 1GB of storage, which is quite impressive. Yola is fully integrated with the Tal.ki forum. This means that you can add forums to your own site. You can access the Yola knowledge base, telephone, and email help from Yola. In fact, anyone who has worked with Yola will tell you that their customer support is second to none. Last but not least, Yola is fun. No, it isn’t anything too complex, but that also means that you don’t have to spend any time stressing over things. Rather, you can build something that looks good with ease. When you create your website with Yola, you first have to choose a template. Initially, you will be presented with the templates that are available for free users, which means you only have 10 choices. That said, the options are really nice templates even though they are free, although they are not as good as those from other website builders. That said, once you get to the editing part of building your website, you will see the full collection of templates that are available. Some of them are free, while others are considered premium and vary in prices. These are much better than the ten or so you are first presented with. Furthermore, many more are added quite regularly. Once you have chosen your template, the real work can begin. You can edit just about everything on the template. This includes the content layout, the default pictures, the banners, the footers, and more. Plus, you can make these changes as often as you like. Yes, this takes time, but it also means that you can create something personalized to your specific needs. You can also switch between templates. Hence, if you choose something and then feel it is not actually the right look and feel, you can simply change it. Any content you have already added will automatically be transferred to the new layout. Unfortunately, there is no integration with most ecommerce stores, with helpdesk services, with CRM services, or with accounting services, and this can make things a bit difficult. This means that, overall, the integration level is quite low compared to other website builders. That said, you can use all Google App products, although this is sort of the minimum that is expected in the industry. Furthermore, the built in integrations they offer, like Full Slate, Constant Contact, PayPal, and more, is really good. While the app market does not offer any kind of direct accounting integration, there are other options out there, such as exporting CSV files for those with ecommerce plans. Speaking of ecommerce, you can add this functionality to any Yola account for an extra $10 per month. Through this, you will be able to sell up to 1,000 products. You can also integrate with PayPal and get real time shipping quotes, which is a really good feature considering how affordable Yola is. Plus, you can link your Yola site to a Facebook store. As such, ecommerce features are really good. Setting up an online store is usually difficult. There are serious concerns about how to safely accept payments from your customers. Additionally, shipping options tend to make things even more complex. This is where Yola truly differs, as they have made it incredibly easy to integrated all these elements. Within your dashboard, you will be able to access a separate store that comes with an incredibly good walkthrough, showing you what to do, how to do it, and when to get started. Through this wizard, you will be able to easily add any of your products, including their shipping rates and shipping options. Plus, you can accept payments such as Google Wallet, PayPal and credit cards, all of which are fully protected. As a result, you can be sure that your customers can trust in the safety of your store. The simplicity of the Yola ecommerce function is hard to describe. You even have some options available to you so that you can style what your store looks like, although this can be a bit complex to understand. That said, you can just leave the store the way it is and it will work perfectly. You can literally sell anything you like in virtually no time whatsoever. The free version allows for three pages of content and will be registered to a Yola subdomain. You will receive 1Gb of bandwidth and 1Gb of storage. Yola ads are included in this package, and you don’t have the opportunity to purchase your own domain name on this plan. The basic plan costs $4.16 per month. This is also known as the bronze package, which gives you unlimited bandwidth and pages. You can also use your own custom domain, or you can request a free one. You will also receive premium support levels. However, Yola ads will still be included on your website. The professional plan costs $8.33 per month. This is said to be the best plan that Yola offers overall. This plan, known as the silver plan, and it is the same as the bronze except for an extra 5Gb of storage. Furthermore, the Yola ads are removed. You will also get access to all the premium templates, your website will be mobile ready, you get advanced editing options, 3,000 professional photographs to choose from, and Facebook publishing options. The unlimited plan costs $16.66 per month. This plan, known as the Gold package, is similar to the silver plan, although it offers you unlimited storage. Furthermore, it comes with some excellent SEO tools, and you will be listed in the Yola Business Directory. It is also interesting to note that you will receive a discount if you pay for a full year up front. The prices mentioned above were correct at the time of this writing and refer to the total price per month if you pay for a full year. If paying monthly, the prices will be slightly higher. The online store, meanwhile, is an add on that you have to pay for in order to have it integrated. This costs an extra $10, regardless of what plan you have signed up for. For $10, you can add 1,000 products are also get access to integrated shipping and tax quotes, order tracking, inventory management, social media integration, the Facebook store, and coupons and discounts. Lastly, Yola also has developers and designers on board to help you create something good. They offer their service for just $499.95. 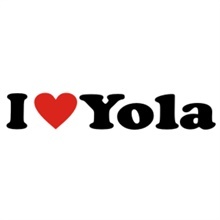 Yola is known for their excellent levels of support. Their website is filled with tutorials and articles in which you can find out a wealth of information on how to build a website. Their FAQ section is highly comprehensive. You can speak to a customer representative on the phone or via email. The community forum is also a very useful tool. Overall, Yola’s main strength is that it has been around and clearly knows what it’s doing. They also understand that you may, yourself not have as much knowledge on website building. This is why their biggest strength is in their ease of use. Furthermore, the ecommerce services are really good. This is definitely one to recommend, in other words. Yola is incredibly easy to use, and they really allow you to do a lot. For instance, if you sign up to their Silver package, you can build as many as 25 different websites. However, up to the Bronze plan, you will have the Yola ad on your site. Unfortunately, it doesn't come with blogs and there hasn't been any product development as of late. They do offer a free plan as well. Some packages do come with a domain name as well.